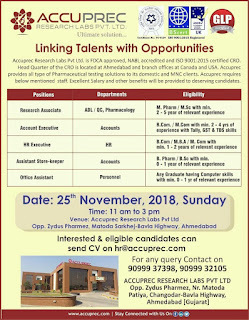 Accuprec Research Labs Pvt. Ltd. Â® has been incorporated by a group of highly qualified technical promoters. 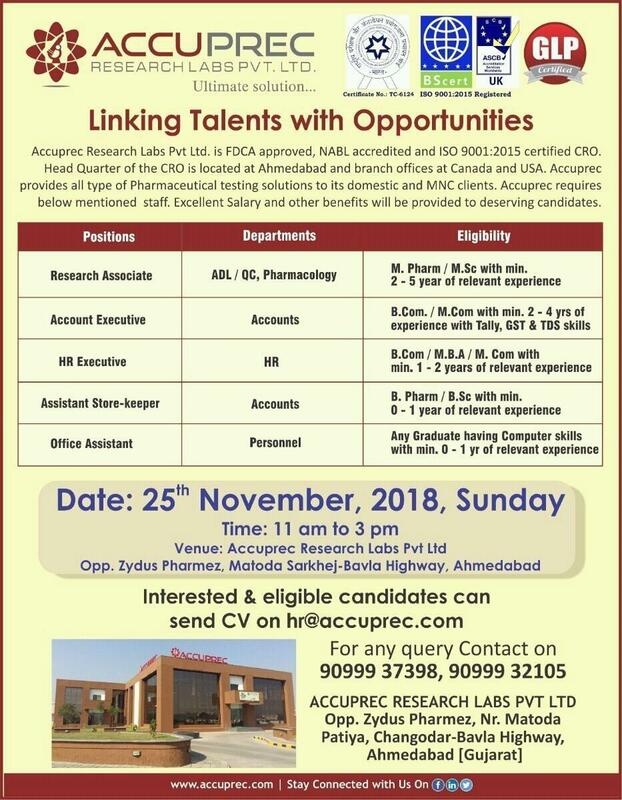 The main object of establishment of Accuprec Research Labs is to offer different facets of testing solutions at single platform for variety of Pharmaceutical and chemical products starting from their discovery phase to clinical phase. Another object is to provide all services par excellence in terms of Accuracy, precision, reliability as well as with most competitive pricing.